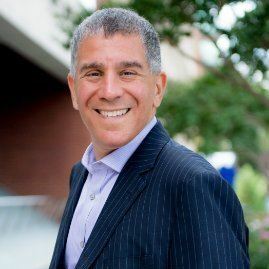 40Plus of Greater Washington - Lorne Epstein - Ace the Interview and Get Hired by Creating a Compelling Professional Narrative! Lorne Epstein - Ace the Interview and Get Hired by Creating a Compelling Professional Narrative! Ace the Interview and Get Hired by Creating a Compelling Professional Narrative! Lorne’s interview workshop will cover how to share your professional narrative where you will get a new framework from which to create stories that communicate with impact and help you get the job you want. As a thought leader on jobs and employment, Lorne Epstein is regularly sought out for speaking engagements, quotes and thought leadership. Lorne’s book,You’re Hired: Interview Skills to Get the Job, has been sold and downloaded over a quarter million times. Lorne speaks nationally on how to ace your job interview and has been quoted on job related topics in national news outlets such as Cosmopolitan and Forbes. Lorne is the producer and host of You’re Hired which airs on 96.7 FM (WERA.fm) on Monday’s at 10am. Lorne brings in national experts who share what is going on in the workplace from employment law to military job transitions.